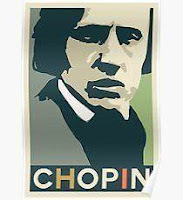 A student writes: "Many of [Chopin's] etudes seem to require what feels like an impossible speed to sound even like a slow version of themselves. Short of just working on other things until my technique gets closer to what is needed, is there anything that can be done with the etudes themselves? The Op.25, #12, for instance, is more meaningfully expressive than the combination of groans, sighs and screams that suggest themselves as alternatives. Is there a general strategy to learning “impossible” pieces that is neither a waste of time nor harmful?" The simple answer to the question is yes, there is a strategy for learning the impossible, which, of course, renders such passages possible. In this example the main technical issue—its "etudeness"–has to do with how the hand moves from one octave position to the next. First, a word or two about the Chopin Etudes. These are concert pieces designed to show off different aspects of skilled pianism. They are not a pedagogical tool, at least not in the sense of so-called progressive studies such as Czerny, Hanon or method books. 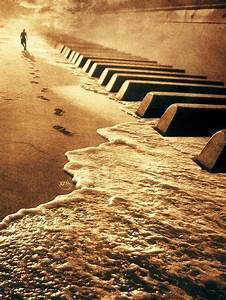 They require an advanced insight into piano technique. Having said that, any piece of music we study is at least in some sense an etude, especially if it contains passages that require special attention to mechanics. Even if he doesn't get the tempo up right away, he will develop important technical concepts and in the process have a head start on a piece he enjoys.